Figure 1. 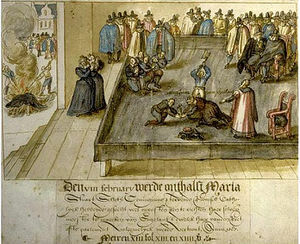 Mary Queen of Scots execution reflected the final outcome of a major plot against Elizabeth I. This plot led to the creation of the first organized espionage network in England. Spying has existed since early historical societies in the Middle East, China, and southeast Europe. However, spy services are generally a later development, where groups of government individuals and ultimately agencies within government became responsible for external and internal spying. England, one of the first countries to have a formal spy service, greatly professionalized spying and made it one of the birthplaces of what ultimately became modern espionage. The rise of espionage or spying services could be traced to the Catholic and Protestant conflicts of the 16th and 17th centuries in Europe. In England, there was both a fear of a Catholic invasion and attempt to take the English throne as well as a desire to shape events in Europe, particularly in the Netherlands. Under the reign of Elizabeth I (1558-1603), one of the first official spymasters in English history arose in the figure of Francis Walsingham, who was also the Secretary of State for Elizabeth I. Another key person was William Cecil. Together, these two helped form what was called the Bond of Association, which was a document, and effectively a foundation document, for a network of spies that devoted themselves to the protection Elizabeth I after the Throckmorton Plot.. The Throckmorton Plot was a plot by English Catholics to murder Elizabeth I and place Mary Queen of Scots on the throne (Figure 1). While the plot failed, it made the aides nearest to Elizabeth realize that England would continue to face external threat, in the form of Spain in particular, and internal descent from Catholics who wanted to put a Catholic monarch back in power. What was significant about the Bond of Association is it committed a network of people to ensure any plot against the Protestant monarch would be attacked even if the reigning monarch was killed. This, in effect, put the interest of the Protestant state ahead of any individual, even if that individual had a valid claim to the throne. Any potential killers were to be effectively killed at all costs. Walsingham realized that to defeat future plots, tactics would have to include having a vast network of spies across England (and later Scotland after the accession of James I). Spies had to be able to decipher coded letters, find hidden ink in letters, search hiding spaces in homes, and infiltrate Catholic groups to know what they were up to. In effect, this created not only among the earliest espionage networks but also the first surveillance state that monitored its people at a vast scale. It also recruited many normal people to carry out mundane, everyday espionage in many different towns and municipalities across England. Figure 2. John Thurloe professionalized spy networks in England after the English Civil War. After the English Civil war in the 1650s, Oliver Cromwell realized there needed to be greater control of the postal service, which became the primary way in which many plots were orchestrated. 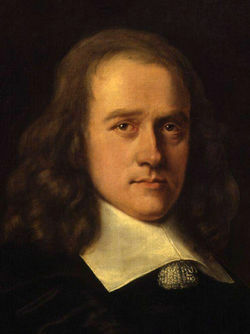 Thus, the Post Office, under John Thurloe, increased letter surveillance to help uncover plots against Cromwell. This development by Thurloe also included the earliest known usage of mathematicians as dedicated, state-sponsored code breakers, where Thurloe employed mathematicians from Oxford, such as John Wallis, to decipher conspiracies (Figure 2). This was also a period where a form of 'fake news' was instigated by the state by controlling the flow of information in mass media. While the state increased its efforts in trying to infiltrate various groups, including Catholics and potential conspirators, the state attempted to mislead in some news so as to help disrupt potential threats and ability to organize for hostile groups. The press, at times, could be used as a coded messaging system to conspirators. Espionage, domestically and abroad, continued to be controlled by a spymaster often in the service of the monarch, that is after the monarchy was restored after the death of Cromwell. Well after Thurloe, a central spymaster, often the Secretary of State, would control both domestic and foreign spy networks. After the threat of Catholic invasion subsided, spies began to be used more against the threats to the emerging British Empire. Namely, this was France before and during the Napoleonic wars. Throughout the 19th century, espionage continued to mostly use the structure developed in the 17th century. This meant there was increasingly high burden on a single figure in government responsible for domestic and foreign spies. As the British Empire expanded, so to did the needs of the British espionage services. The increasing complexities of the 19th century and British entanglement in international affairs as the British Empire expanded demonstrated a new structure was needed to manage the government's espionage services. In 1909, the Security Service (MI5) and Secret Intelligence Service (MI6) were created with the realization two agencies were needed to manage domestic (MI5) and foreign intelligence (MI6) gathering. At this point, the emerging power of Germany became the biggest foreign threat, while civil unrest over inequality and poor conditions meant that MI5 was also very active in thwarting rebellion and rise of new ideas such as Communism. However, it was the events of World War I where both these services saw great expansion and began to mature to the systems we know them today. Even before the war, there was much tension over the increasing naval arms race between Britain and Germany that led to many accusations of espionage against Germany, with at least one case where a true plot was, indeed, uncovered. During World War I, approximately 120 spies served Germany and were sent or assigned to Britain, of which 65 were caught and the remainder failed to send significant intelligence. This demonstrated that the new structure of dividing the external and internal spy agencies was a relatively workable model that made it easier for one head to focus on. By the end of World War I, the new threat and more significant threat was seen to be Communism and the rise of the Soviet Union. While MI5 was active in keeping Germany and other threats away from harming Britain, MI6 worked to cultivate its spies in the continent. The development of many spies in Belgium, in particular, allowed Britain to gain a lot of quality intelligence from Germany during the course of the war. This network was known as ‘La Dame Blanche, where everything from monitoring train movements to troop movements and reports about battlefield losses were obtained from the spy networks primary area of operations in Belgium. After World War II, military clandestine warfare began to be absorbed into MI6, that is Special Operations Executive (SOE), integrated with MI6. The Cold War period also saw the US Central Intelligence Agency form close working relationships. While MI5 attempted to keep the Soviet Union off balance in its spying attempts, many other threats emerged, including the Irish Republication Army during the Troubles and industrial espionage by states. For the most part, Britain had relatively greater success than the United States in the Cold War in preventing important secrets from being discovered. Modern espionage in England and eventually the United Kingdom has its roots in 16th century Tutor England during a period of great conflict between Catholic and Protestant states. This period produced many plots and internal and external threats that led to the development of the first organized spy networks. These networks increased in their effectiveness in the 17th century as espionage became more professionalized. However, it was the reforms that led to the creation of MI5 and MI6 that has given us modern British espionage. The structure created in the early 20th century has largely stayed in tact, although modifications continue to be made today. ↑ For more on the Elizabethan spy network, see: Steve Arman, Simon Bird, Malcolm Wilkinson, & Rosemary Rees (eds.) (2002) Reformation and rebellion 1485 - 1750. Headstart in history series ed. : Rosemary Rees ; 22002. 1. publ. Oxford, Heinemann. ↑ For more on the Bond Association, see: J. A. Wagner & Susan Walters Schmid (eds.) (2012) Encyclopedia of Tudor England. Santa Barbara, Calif, ABC-CLIO, pg. 143. ↑ For more on Walsingham's surveillance network and the skills involved for these early spies, see: Haynes, A. (2007) Walsingham: Elizabethan spymaster & statesman. Stroud, Gloucestershire, Sutton. ↑ For more on Crowell's use of spies and particularly spying on the Post Office, see: Smith, G. (2011) Royalist agents, conspirators and spies: their role in the British Civil Wars, 1640-1660. Farnham, Surrey ; Burlington, VT, Ashgate. ↑ For more on the development of spies particularly in the Napoleonic wars, see: Sparrow, E. (1999) Secret service: British agents in France, 1792-1815. Woodbridge, Suffolk, UK ; Rochester, NY, USA, Boydell Press. ↑ For more on the development of MI5 and MI6, see: Thomas, G. (2009) Secret wars: one hundred years of British intelligence inside MI5 and MI6. 1st ed. New York, Thomas Dunne Books. 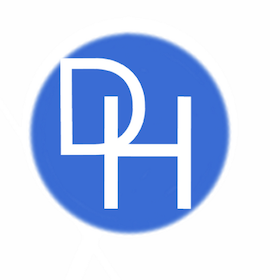 ↑ For more on the ‘La Dame Blanche, see: Richelson, J. (1997) A century of spies: intelligence in the twentieth century. Oxford paperpacks. New York, Oxford Univ. Press, pg. 23. ↑ For more on Cold War espionage, see: Trahair, R.C.S. & Miller, R.L. (2012) Encyclopedia of Cold War espionage, spies, and secret operations. New York, Enigma.